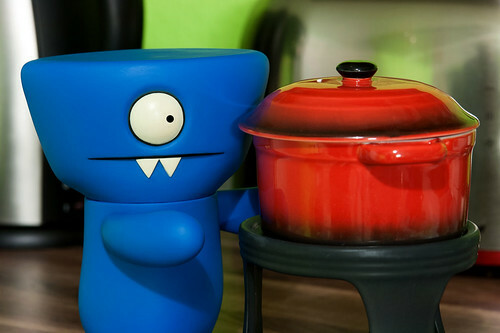 Uglyworld #2181 - Fondue Potters - (Project On The Go - Image 13-365), a photo by www.bazpics.com on Flickr. This evenings Mireille sneakilies invitereds some of Baz's work colleaguers and friendlies round for a differents kind of dinners to celemabraters Baz's birthdays, I isn't going to tells you how olds he is, but lets just says that he's almosts olds enough to be writereds about in the histories bookers! Anyways, his colleaguers bringereds an awesomers presenter, tiny littles fondue potters, which we could users directlies to melters some chocomalate insiders, perfects to dribblers on tops of our speciallers dinner, wafflers and ice creamers! Talks about a perfects birthday presenter!